Most countries around the world think that it’s a good thing to have cheap energy. But in California, we have plenty of cheap energy available, just not the political will to access it. California depends on natural gas-driven turbines and hydroelectric generators to provide just 38 percent of its oil needs. The state imports 12 percent of its oil from Alaska, and another 50 percent from foreign nations, relying heavily on Canada. So why are California’s utilities warning of potential rolling blackouts again? It’s political. And it’s corrupt. California’s natural gas shale formation is one of the largest in the world. And, California has been a pioneer in renewable energy, albeit still unreliable and unproven. Yet warnings are already coming that Californians may have rolling blackouts this summer. While California sits on one of the largest known deposits of recoverable oil and gas, production is falling steadily, as the state ignores its vast onshore and offshore deposits, which are fully accessible through conventional and hydraulic fracturing technologies. This is one reason California electricity costs more than twice the national median – thanks to a government-created shortage. Another reason is that the California Public Utilities Commission, the state’s energy “regulator,” has an historic dubious relationship with Wall Street, making promises to keep the profits higher of the state’s publicly held utilities, than utility profits elsewhere. Those profits come out of ratepayers’ pockets. “You’re ego is writing checks you’re body can’t cash,” the famous quote from the movie Top Gun says. Another of the problem areas is the California Public Utilities Commission $5 billion cover up and scandal over the 2012 closure of the San Onofre Nuclear Generating Station, due to the failure of the steam generators. 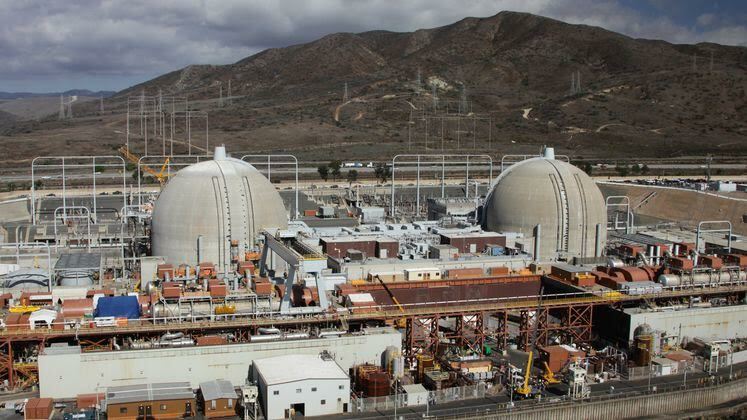 San Diego attorneys Mike Aguirre and Mia Severson exposed the attempt to make the public pay big for utility and regulatory executives’ mistakes at the failed San Onofre nuclear power plant. Southern California Edison executives purchased new steam generators from Mitsubishi, but were warned that they were bigger and run hotter, and could fail. SCE executives purchased and installed the generators anyway, knowing of a flaw in the generator design, according to records. 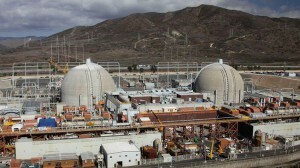 Built to last 40 years, the generators at San Onofre failed after 2 years. And, the generators’ cost had not yet been included in rates. So SCE was faced with broken generators they could not charge ratepayers for. Then, PUC President Michael Peevey, and executives of Southern California Edison colluded in secret to saddle ratepayers with $3.3 billion of the $5 billion shutdown cost. The $5 billion recovery settlement was negotiated in secret in Poland, away from prying eyes and open records laws in California. The state is awash in ultra cheap natural gas, yet in California, our corrupt government finds a way to create an energy shortage and charge rate payers the highest rates in the country. “State officials warn that Southern California could face as many as 14 days of scheduled blackouts this summer because of depleted reserves of natural gas caused by the massive leak in Aliso Canyon,” the Los Angeles Times warned in April. The LA Times neglected to mention that California ratepayers do have options, but its politicians have no will. The state sits on one of the largest known deposits of recoverable oil and gas — the Monterey Shale, a 1,700 square mile oil-bearing shale formation primarily in the San Joaquin Valley, which contains an estimated 15 billion barrels of oil. The Times article quoted Bill Powers, of Powers Engineering in San Diego, who said the utility’s pipeline system has not exceeded its capacity of 3.8 billion cubic feet per day during summer in the last 10 years, thus the concern of blackouts is without merit. “It is crying wolf for state agencies to be implying blackouts from a lack of gas, especially from a lack of gas in the summer time,” Powers said. The Monterey Shale formation is estimated to be several times bigger than the Bakken Shale formation, currently delivering a record economic boom to North Dakota. But even as the fourth-largest oil producing state in the country, oil and gas production has been steadily declining here. Instead, California lawmakers turned their attention to wind and solar, and other types of alternative energy. The state has been only focused on implementing the Renewable Portfolio Standard, passed in 2011, which requires the state to be using 33 percent renewable energy by 2020. A University of Southern California study, “Powering California: The Monterey Shale & California’s Economic Future,” looked at the development of the vast energy resource beneath the San Joaquin Valley known as the Monterey Shale. It found that hydraulic fracturing could create 512,000 to 2.8 million new jobs, personal income growth of $40.6 billion to $222.3 billion, additional local and state government revenues from $4.5 billion to $24.6 billion, and an increase in state GDP by 2.6 percent to 14.3 percent on a per-person basis. California politicians have gloated over being the first state to enact such aggressive green energy and greenhouse gas busting policy, but have yet to produce any proof that these oppressive and business-killing laws have had any “green” results. All while they ignore that natural gas is clean, less expensive to extract, natural and abundant. It wasn’t that long ago that natural gas used to be the left’s preferred alternative to all other “dirty fuels.” But as the oil and gas industry found better, more affordable ways to access natural gas, it fell out of favor with emotional, whimsical environmentalists. The last California Governor blamed for rolling energy blackouts was recalled by voters… hold that thought.